It is one of the most commonly asked questions we get in the business as the community battles with bigger houses on smaller blocks. Here are some selections to consider. This could be a tall spreading shade tree, but mostly we see this tree ordered for its thick foliage and suitability for instant hedging and screens. A small fast growing tree to 10m that can be clipped to the desired height. Great for around pools as it has has minimal leaf drop with flowers that are small and nondescript. We have also found ‘Flash’ to show better tolerance of Melbourne winters. This is a stout tree best known for it's beautiful white fragrant flowers bourne in Spring and Summer. Berries are red turning to black. 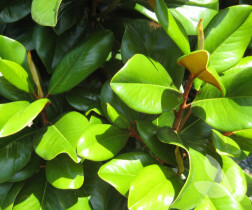 It has large glossy bright green leaves that are oval in shape. 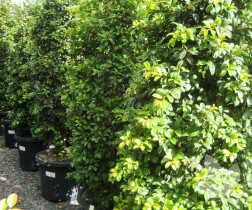 Fast growing species that can form a rounded shrub or small tree. Pyrus nivalis has foliage which is slightly glaucous, giving the tree a soft, silvery green appearance when in leaf. The habit of the tree is easy to manage to form a trunk. 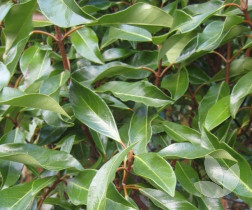 They have a smaller leaf and look great planted for canopy layed in a garden with Ficus or Syzygium. 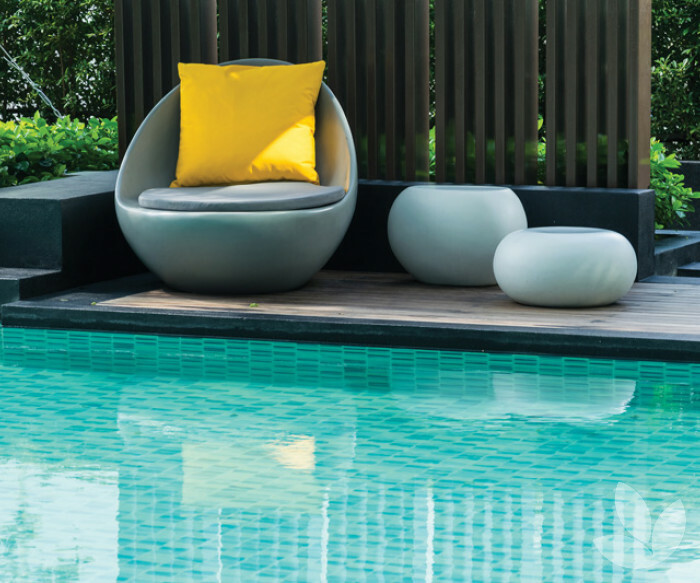 A deciduous option, we think that its structure, form and leaf would work particularly well for privacy. 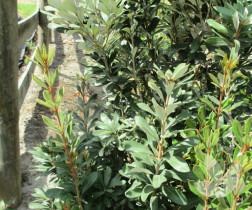 An ideal native shrub for hedging and screens and a good selection for around pools. 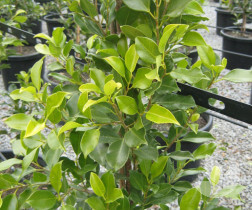 Compact glossy green foliage has an attractive copper hue on new growth. To control litter suppress berries by clipping the tree just before flowering. This is a great tree for dense privacy. This Australian native has deep green foliage that is a reddy/pink when young. It produces white to pink feathery flowers that hang like tiny lampshades during spring and summer. Dark blue berries can be subdued with a timely clip once flowers appear. The older leaves turn a red colour making this a spectacular tree for year-round interest and a lovely tree for shade. This is an updated version of the straight Tristaniopsis laurina with larger and shinier dark green leaves and new growth that starts out a distinctive copper colour. Over time branches develop a deep purple coloured bark that peels back to reveal a smooth cream trunk. It produces clusters of yellow flowers in summer. This is a lovely tree for layered plantings growing to 8m tall. 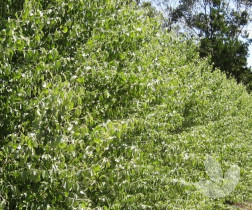 A real favourite....This versatile, bushy tree has a wonderful weeping habit making it perfect for large screening projects and the softening of ugly fence lines. Its leaves are various shades of green with new growth starting off pink before turning. It forms white flowers in summer which is followed by green fruits. This is a softer alternative to a clipped screen or tall hedge. 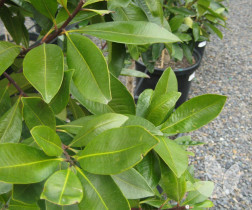 This is a compact evergreen magnolia growing to 4m with rounded and cupshaped leaves that are held tightly on the tree. Foliage is dense and glossy and its flowers are big and white. The seed pods are furry scaled and have bright red seeds falling from them after flowering. Flower and pod litter from this tree can be easily controlled. 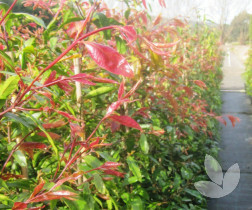 This is a narrow growing Syzygium selection ideal for hedges and screens with great application in the landscape including around pools where it can easily be layered and/or clipped to suit the space. Berries can be suppressed once a year with a timely trim once flowers appear. 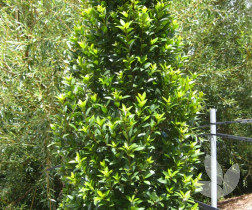 Like Syzygium 'Pinnacle' , this conical conifer has an upright growth habit and hence a small footprint for it's moderate height. With very dark green foliage and a dense growth habit it responds well to pruning. This is a small tree with medium frost tolerance. Its fastigiate form makes it ideal for a dense narrow flowering screen. Preferring full sun to light shade it responds well to pruning. Flowers are candle like in appearance but smaller than other Banksia varieties and therefore easy to control. Bird attracting.